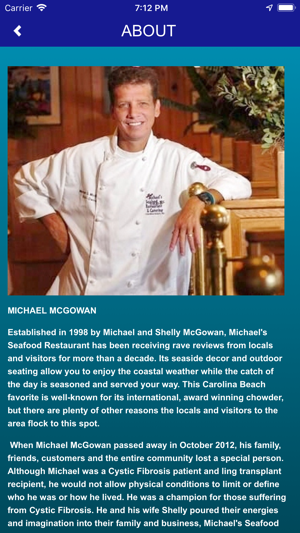 Established in 1998 by Michael and Shelly McGowan, Michael’s Seafood Restaurant has been receiving rave reviews from locals and visitors for more than a decade. 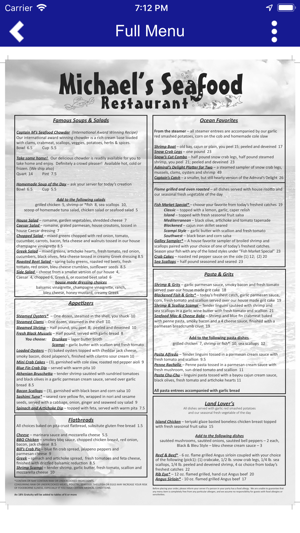 Its seaside décor and outdoor seating allow you to enjoy the coastal weather while the catch of the day is seasoned and served your way. This Carolina Beach favorite is well-known for its international, award-winning chowder, but there are plenty of other reasons the locals and visitors to the area flock to this spot. When Michael McGowan passed away in October 2012, his family, friends, customers and the entire community lost a special person. Although Michael was a Cystic Fibrosis patient and lung transplant recipient, he would not allow physical conditions to limit or define who he was or how he lived. He was a champion for those suffering from Cystic Fibrosis. He and his wife Shelly poured their energies and imagination into their family and business, Michael’s Seafood Restaurant. Michael and Shelly became a vital part of Pleasure Island and we have been richer as a community for all that they have given and done. 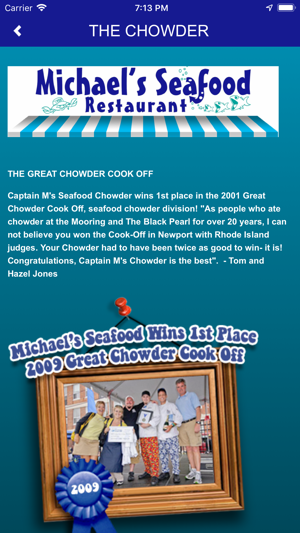 We all knew Michael as a renowned Chef and for his international award winning seafood chowder, but what made him a person so loved and respected was the way he choose to live his life: as an awesome husband, father and son; to be active in his community as a volunteer, by sponsoring athletic teams; holding spirit nights to donate a percentage of a day’s income to local schools; organizing the annual Shrimp Open Golf Tournament to benefit the Cystic Fibrosis Foundation and Duke Lung Transplant Program; and to always greet his customers with enthusiasm and genuine desire to provide them with the best service to make their dining experience a pleasure. Through it all, medically, professionally and personally, Michael always gave back, not only for medical research but in every way, every day. There was nothing limited in the life of Michael McGowan except too short a time with us. 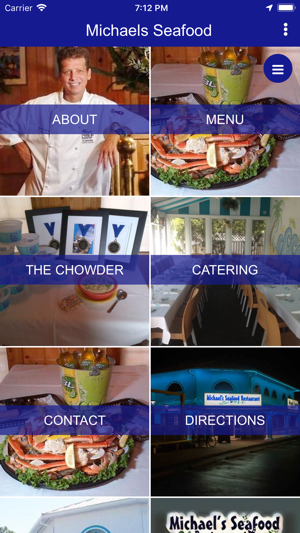 Shelly is committed to keeping Michael’s legacy alive and will continue operating Michael’s Seafood Restaurant and completing their dream of the Big Apple Bakery in a manner she knows would make Michael proud. 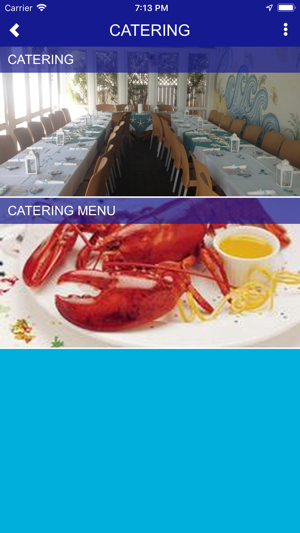 We are continuously trying to improve our app. This version contains some bug fixed and few UI improvements. 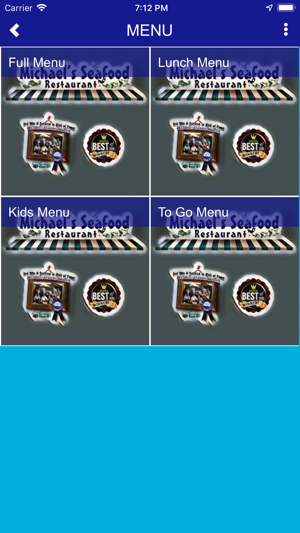 This place has the best seafood in North Carolina and luv the app.